Welcome to MTM Business Systems Architect & Design Firm Web Center. This section of the Web site is designed for Architects & Design Firms in the California market in need of space saving solutions. We work hand in hand with both Architects and Design Firms, planning various projects to maximize space savings from start to finish. Both Architects and Design Firms can initiate projects with MTM Business Systems by filling out our feedback form located to the right side of the page. MTM Business Systems operates under California Contractor's License # 701914. 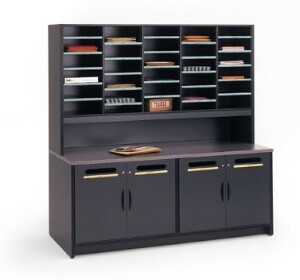 -MTM Business Systems has an assortment of filing solutions available to help plan and implement filing systems. You can fill out our feedback form and request a binder of our product literature, set up an appointment to meet with our sales team for a presentation of our products and/or review project drawings/blue prints. -Different projects can require different methods of storage. MTM Business Systems will work with your firm or your clients to show and explain the various filing techniques to ensure maximum filing efficiency for customers. We will explain the advantages and disadvantages for the different filing techniques and what storage system works best for these filing techniques. -MTM Business Systems needs to know the type of media each client is storing, plus the volume, and evaluate existing and future storage needs. 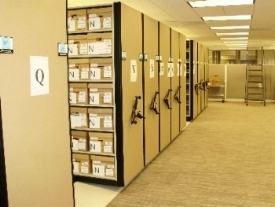 -Site Visit to new or existing file room, field measure room dimensions. -MTM Business Systems will show varying options for client's filing systems. -We will present our proposal to your team or for each client's new filing system showing the varying options, explaining in minute detail what to expect from each filing system presented. -MTM Business Systems provides CAD Drawings of each system presented as well as product specifications, linear filing inches available, and pricing. We can supply them in AutoCAD files or PDF files if you prefer, and even complete the drawings right on your AutoCAD files. Want blocks of specific carriage or shelving sizes? Just request them! -Terms are as specified in our proposals. -Project Coordination with our project coordinator to keep customer up to date on lead times and installation information.